This project will build capacity across a coalition of 8 Michigan 2 and 4 year colleges and universities to increase student retention and completion by transforming gateway courses from barriers to gateways. G2C helps institutions gather, collect and analyze institution specific data that forms the basis for developing and implementing customized plans for enhancing student learning and success in high-enrollment courses that have historically resulted in high rates of Ds, Fs, and withdrawals. ELRC serves as external evaluator for this project, providing independent, third-party evaluation of program process and overall efficiency, as well as critical friend feedback regarding the program’s research plan, data collection and analysis strategies, interpretation of results and implications, and management structure. To what extent was the program able to successfully recruit its target populations? What recruitment activities and components contributed to the successes (or struggles) of project in achieving its recruitment goals? To what extent to scholars develop appreciation and understanding of the opportunities and challenges of teaching in urban settings? What are the primary challenges faced by scholars in their first year of teaching? What supports are needed by scholars and to what extent are these needs met by the project? Using a Hometown Collaboration Initiative (HCI) Model, this project seeks to decrease the rates of obesity in two Indiana counties where these rates exceed 40%. This model builds community leadership and implements programs for change in the affected communities using placemaking strategies. The ELRC will examine the effectiveness of HCI in engaging with and supporting community coalitions that support healthy behaviors and evaluating the reach, adoption, implementation, and effectiveness of the evidence-based programs selected by the Purdue and Community partners. 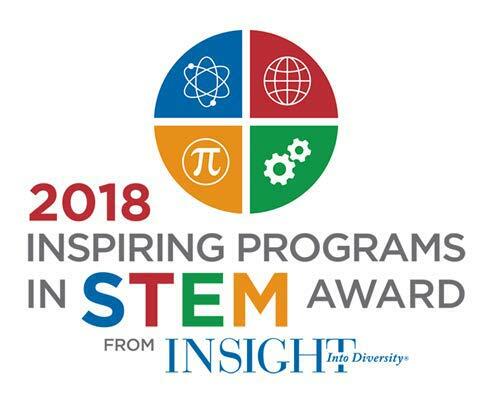 This project seeks to increase the number and diversity of students entering the STEM workforce by elucidating the pivotal mechanisms that make active learning a useful strategy of engaging undergraduate students in STEM and that help students, particularly women and underrepresented students, complete a STEM degree. Guided by self-determination theory (SDT), this project is rigorously studying how basic psychological needs contribute to creation of a student-centered or autonomy-supportive environment, thus allowing for identification of the effectiveness of active learning strategies across course redesign models. The ELRC is conducting external evaluation for this project to determine the extent to which STEAM achieves its stated goals and objectives. Evaluation includes ongoing consultation to review program research plan, data collection and analysis strategies to insure alignment with What Works Clearinghouse standards, and unbiased independent assessment of program progress and efficacy. This project involves designing and implementing, as a module in the course, a student hands-on project using data science to illustrate a relationship between a nutritional factor and risk for disease development. The data will be mined from a large data set relevant to the course and the students will be taught to curate, transform and evaluate the information using R Studio in the STEMEdhub.org, with evaluation and co-creation of the module by the Evaluation Learning Research Center. This project will produce a model that can be modified to create modules in other courses at Purdue. This project is a professional development/training program designed to improve patient care and health outcomes while lowering cost through the use of nurse-led Interprofessional Practice Collaborative Process Improvement practices. As external evaluator for this project, ELRC works with partners to develop a project logic model and evaluation timeline, identify assessment instruments, provide guidance on data collection methodologies and analysis frameworks, analyze, summarize and interpret data and results, and provide recommendations for project improvement. This project seeks to examine the impact of curricular approaches to the development of computational thinking and motivation in middle school students. To accomplish this work, ELRC is developing and validating a computational thinking tool that we will then use to examine differences and similarities in computational thinking development across contexts.